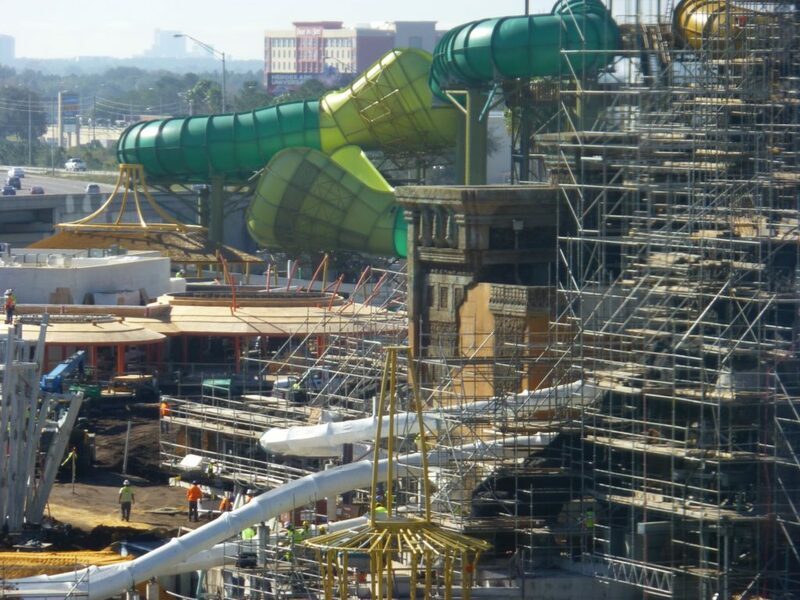 Universal’s Volcano Bay will be officially opening May 25, 2017. 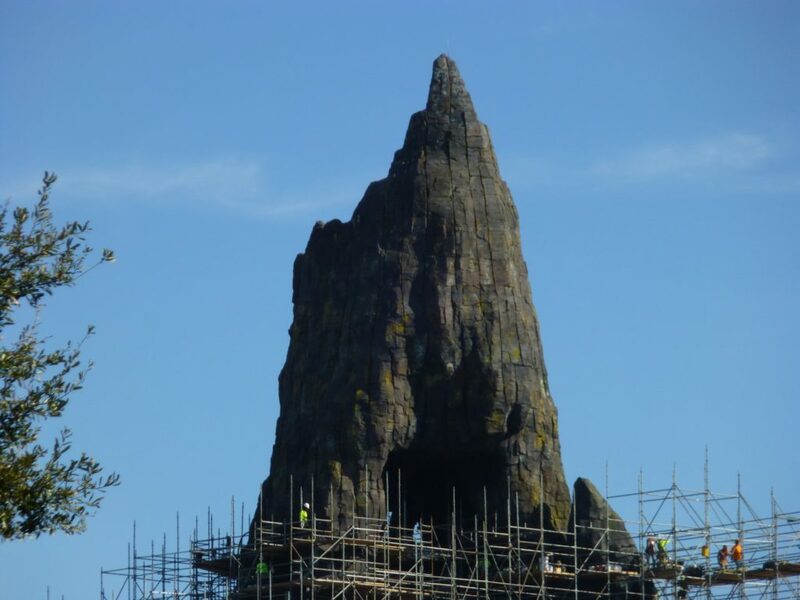 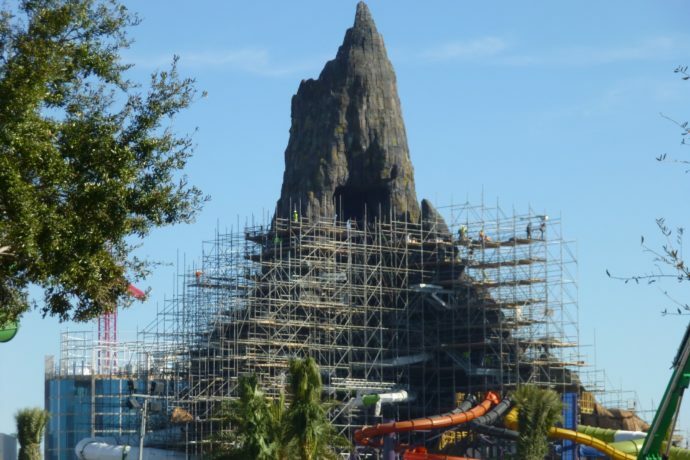 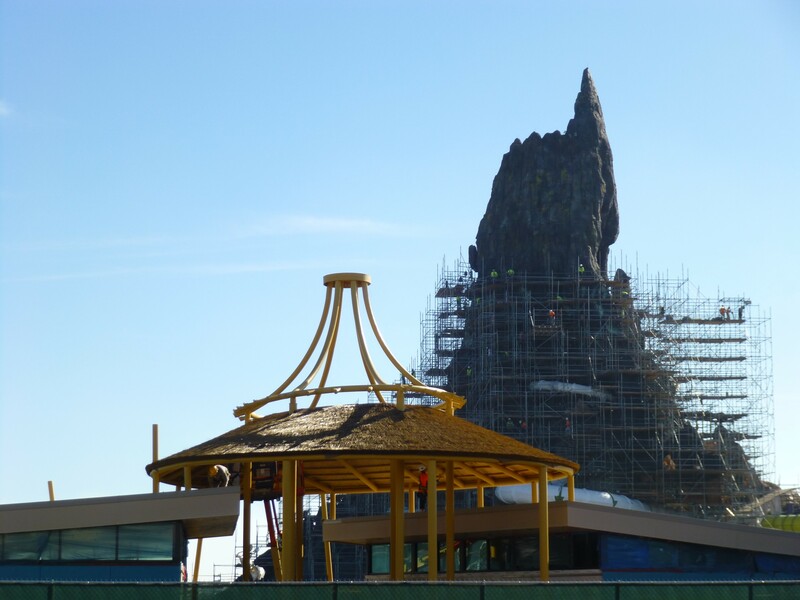 I wanted to check in on construction this week now that scaffolding has started to come down around the 200 foot tall volcano, named Krakatau. 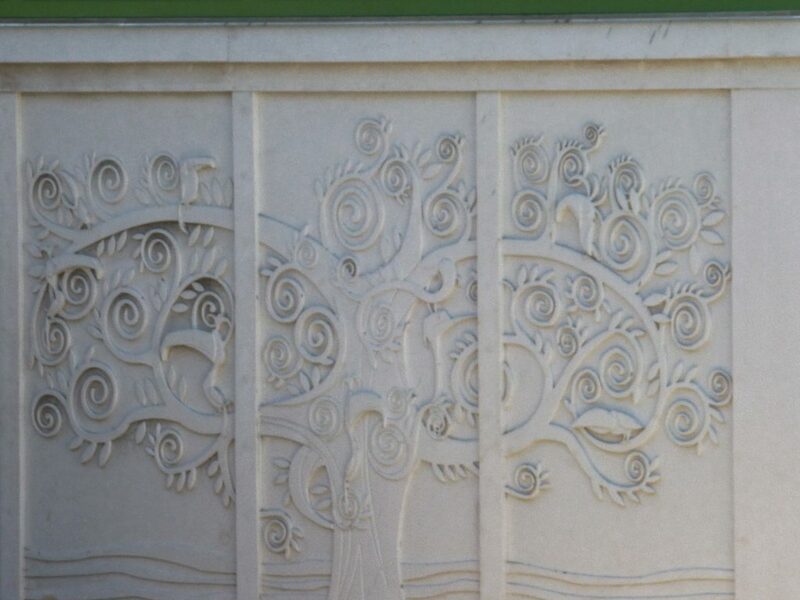 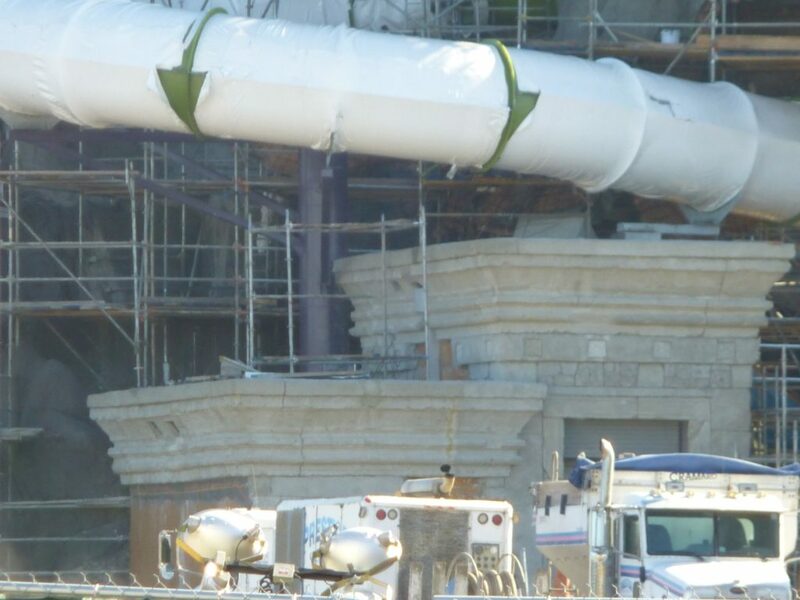 The rockwork looks amazing, and has more color in it than I thought when only viewing it from far away. 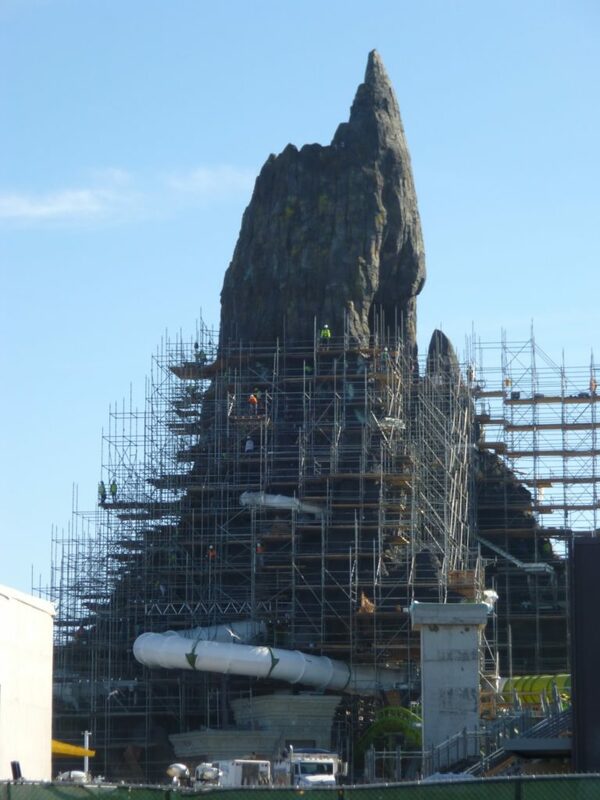 New ancient ruins have been added along the base of the volcano since I was last here. 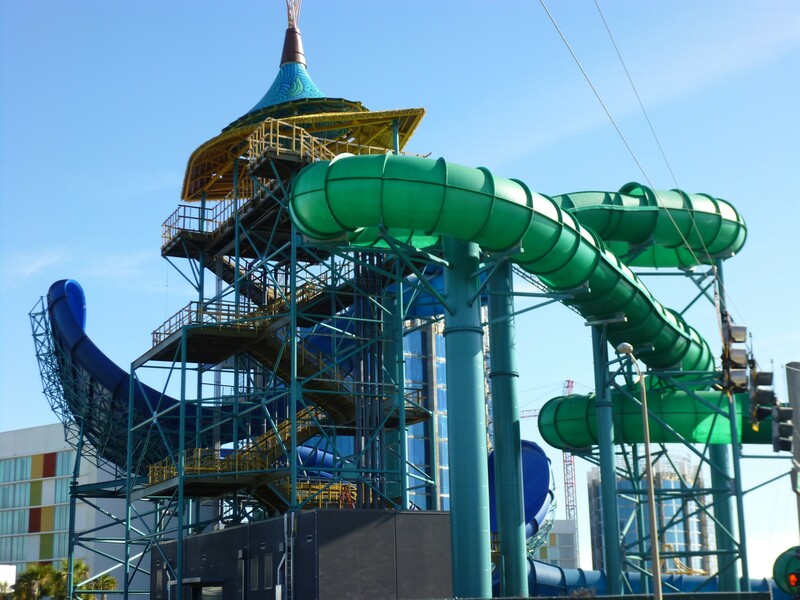 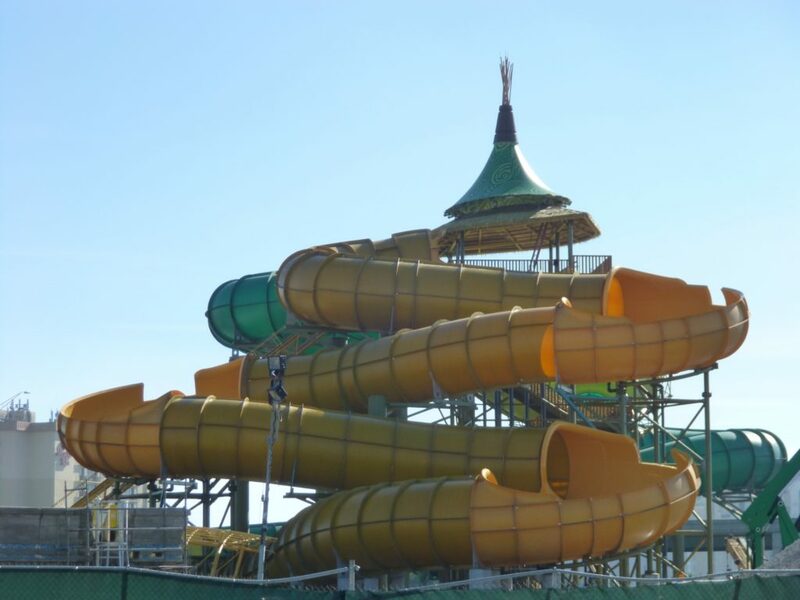 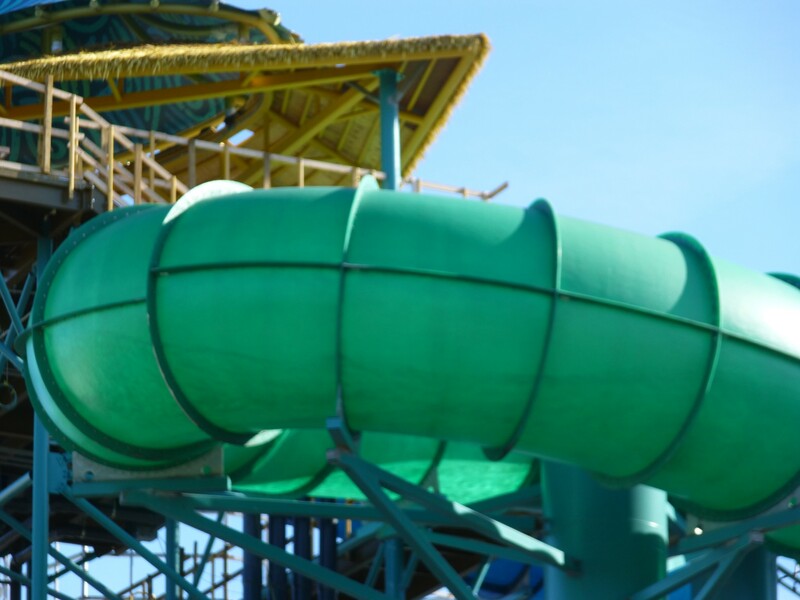 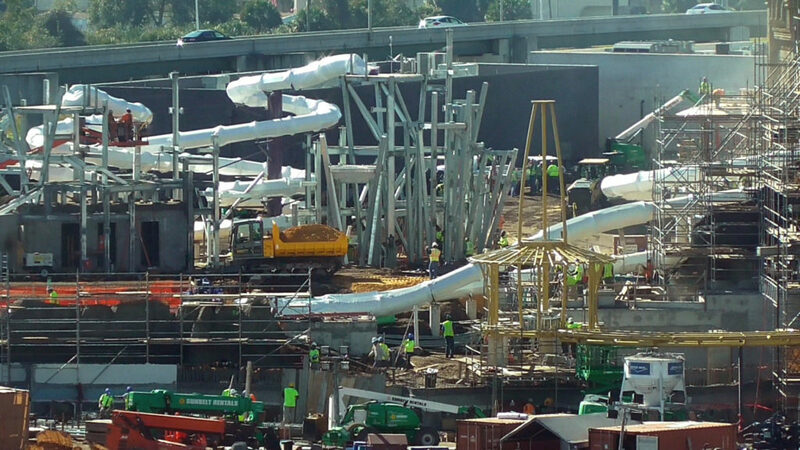 During my visit, I was pleasantly surprised to see that many of the water slides already have water running through them for testing! 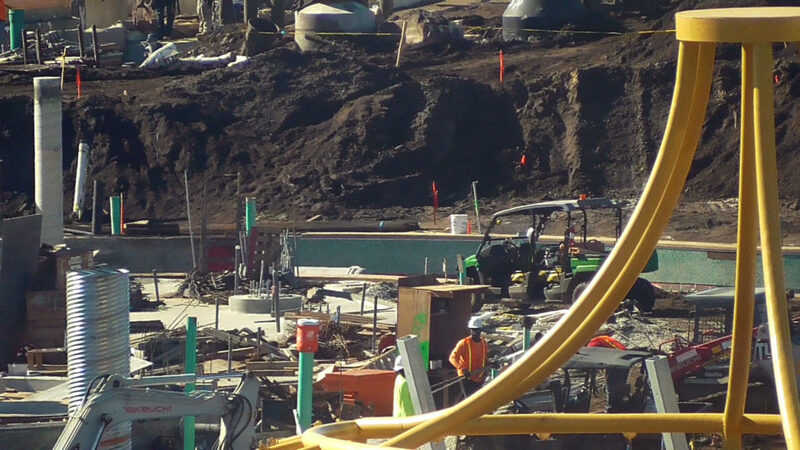 I also got a good look at the new park’s entrance plaza and new title lettering. 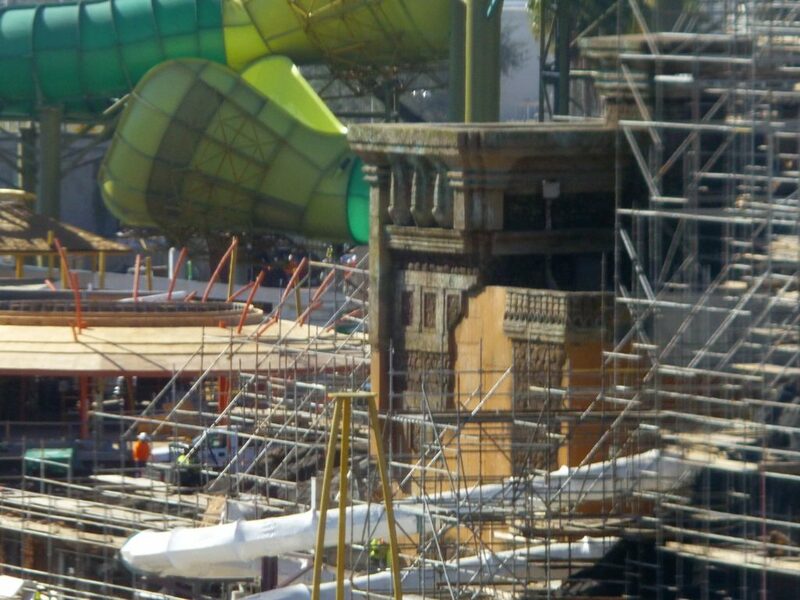 They were paving the plaza’s walk up while I was there. 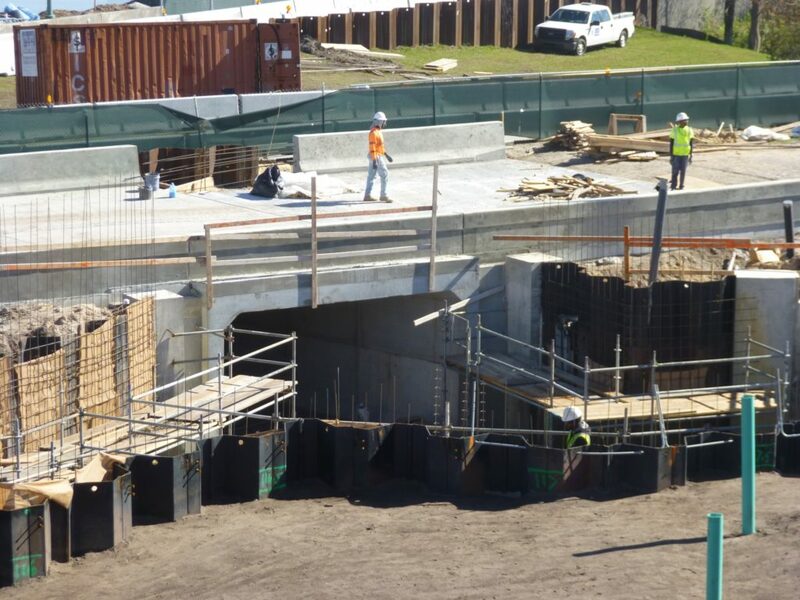 The I-4 entrance and exit lanes have been shifted temporarily for work that continues on the pedestrian tunnel beneath the road. 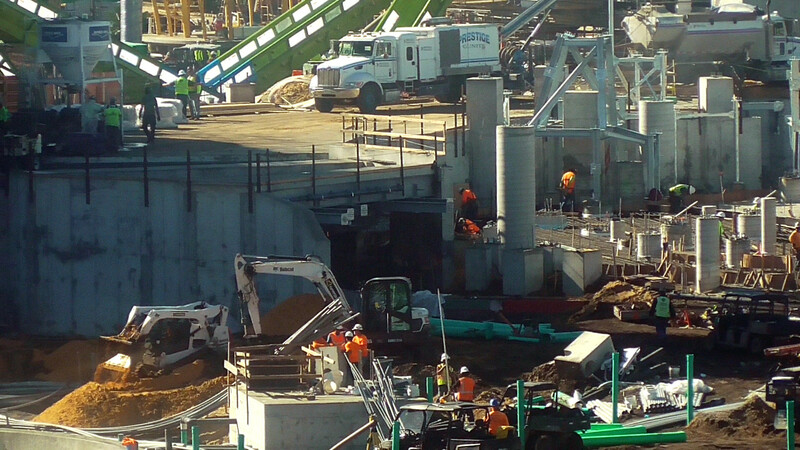 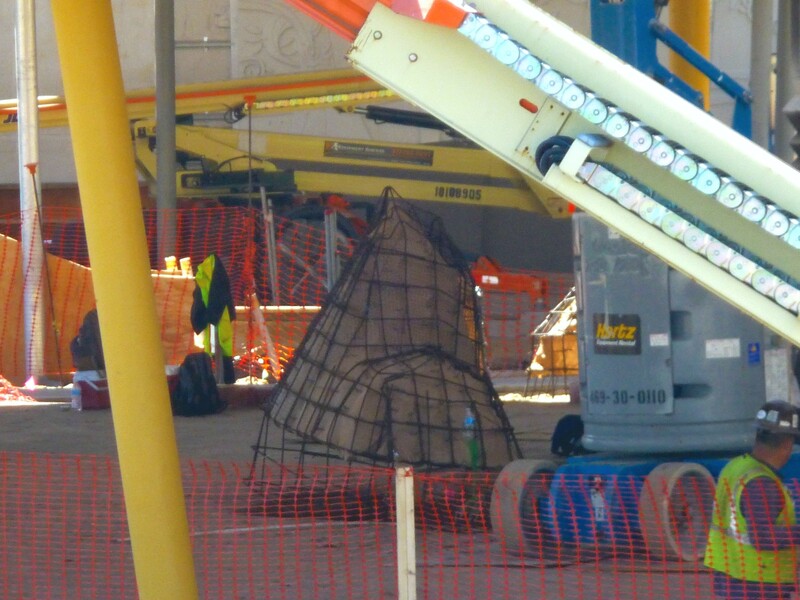 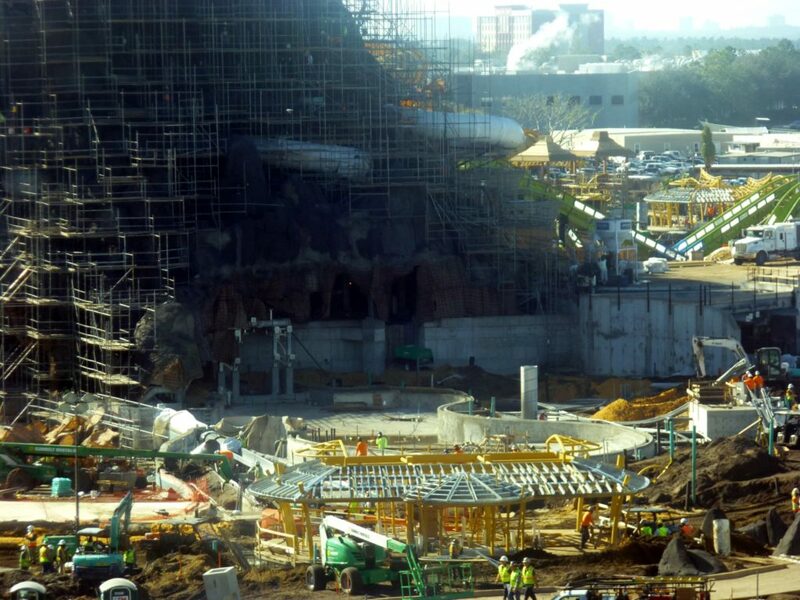 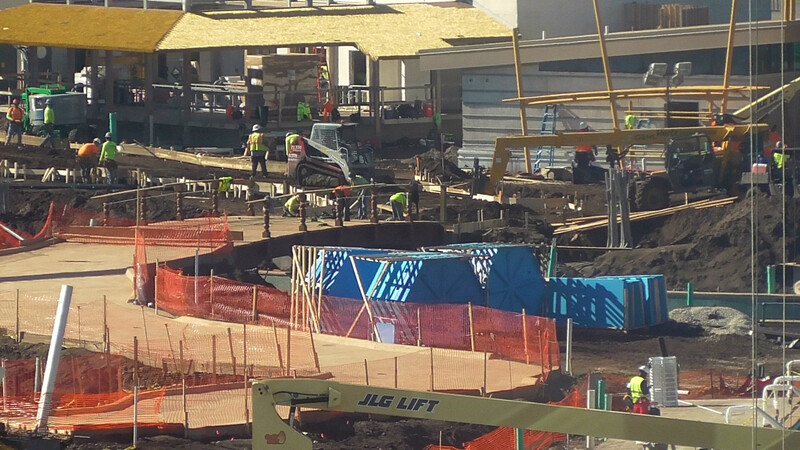 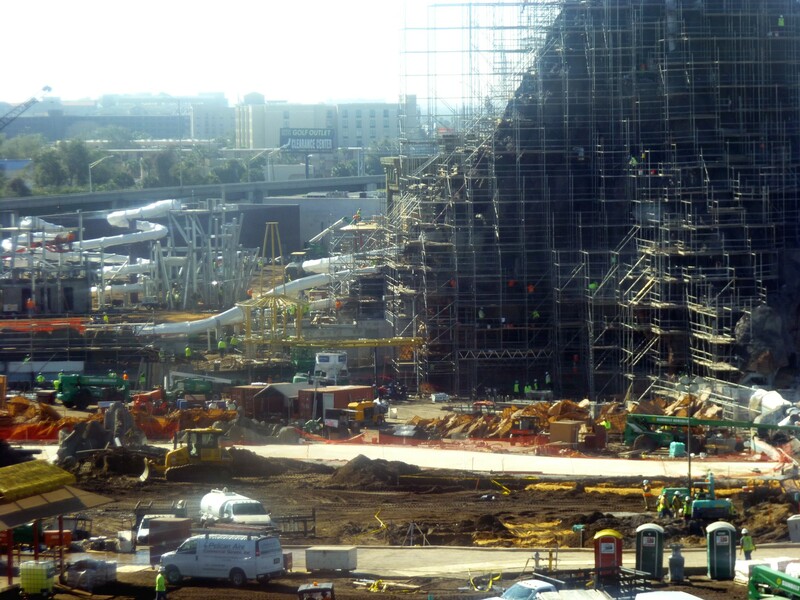 This will lead guests to and from a tram drop-off area on the other side. 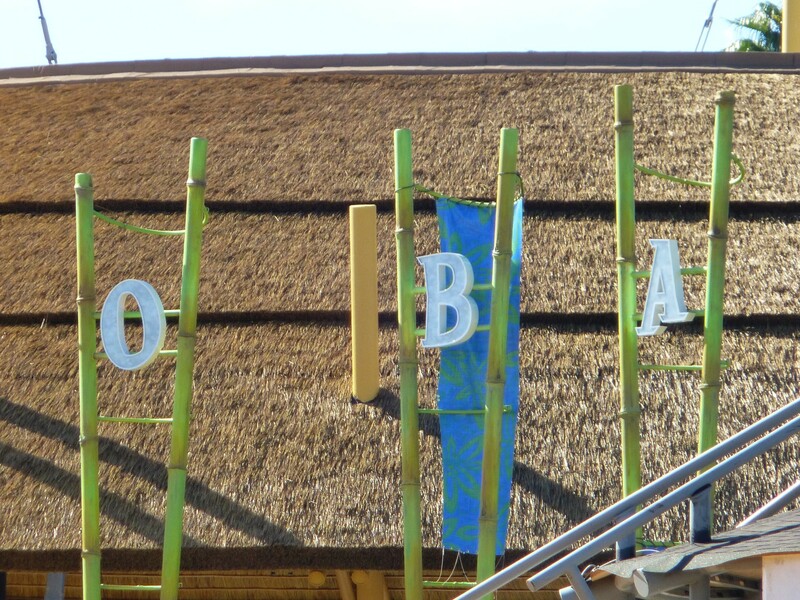 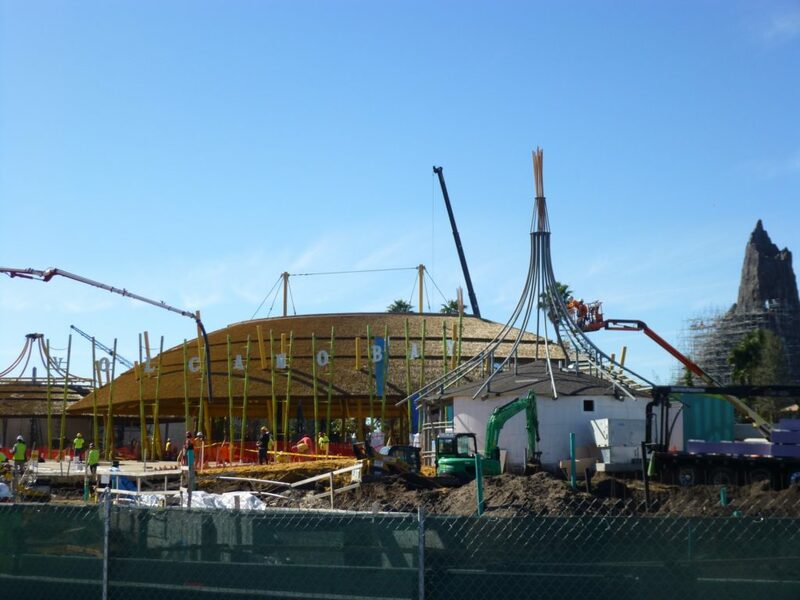 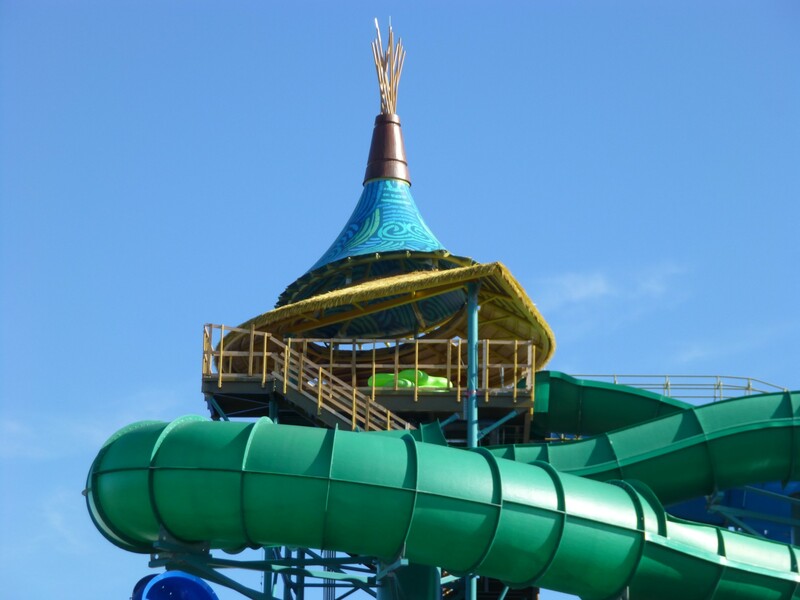 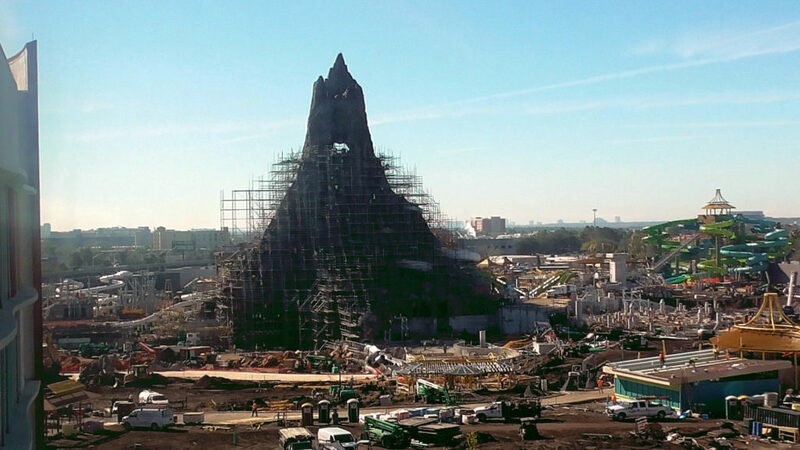 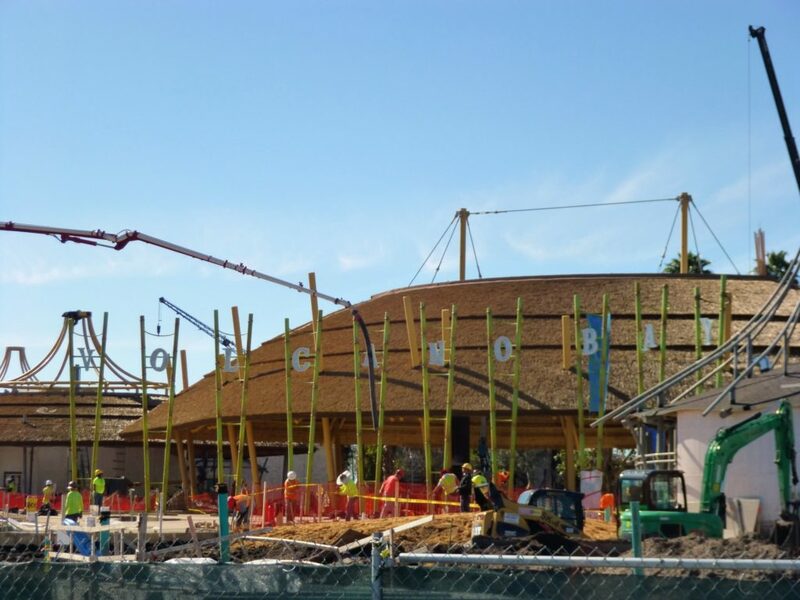 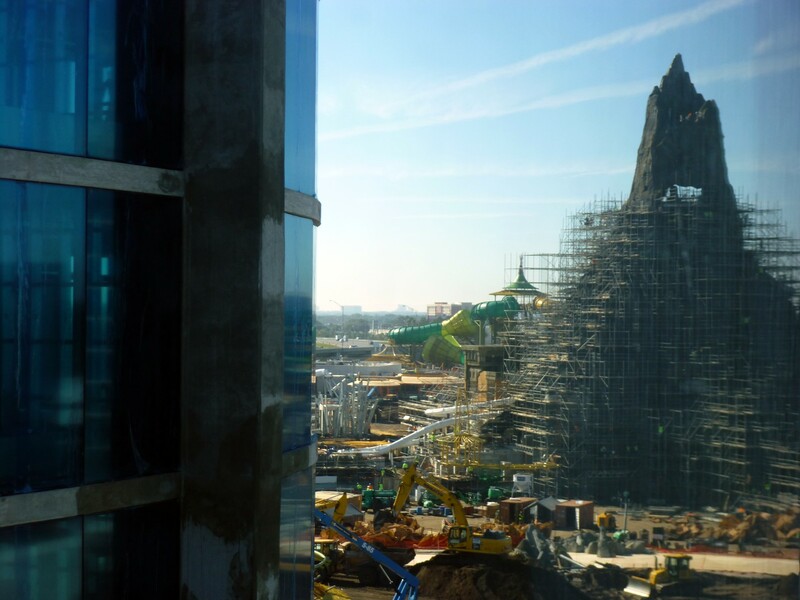 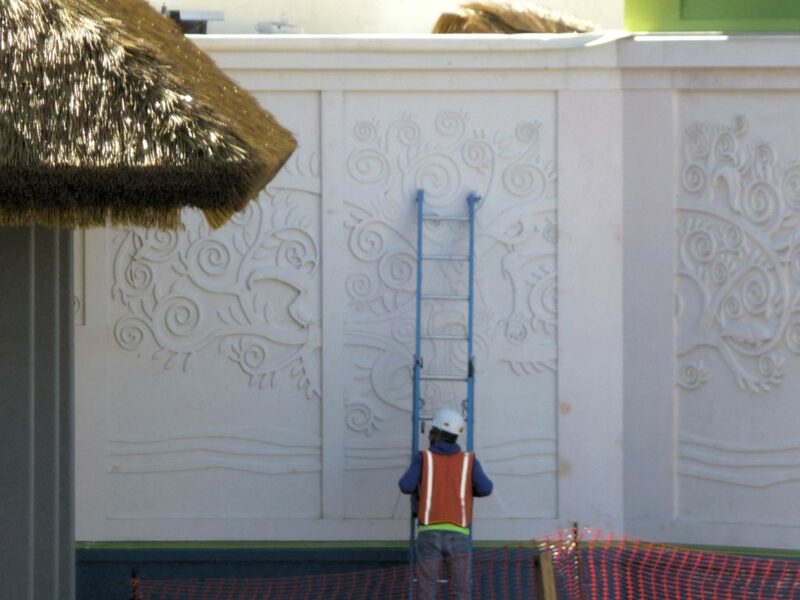 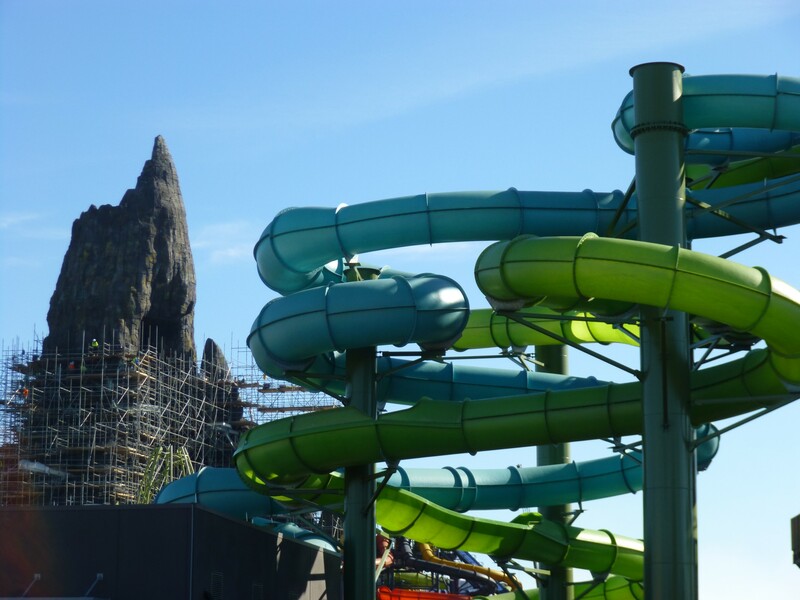 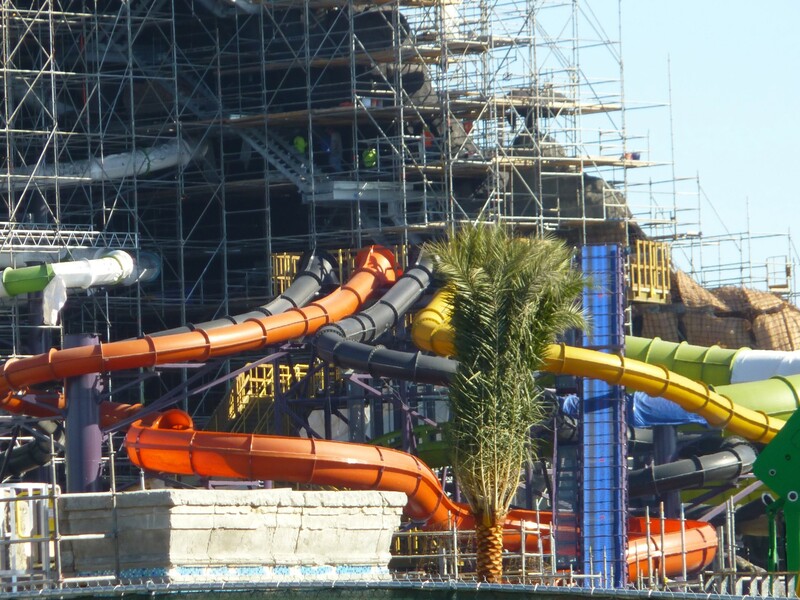 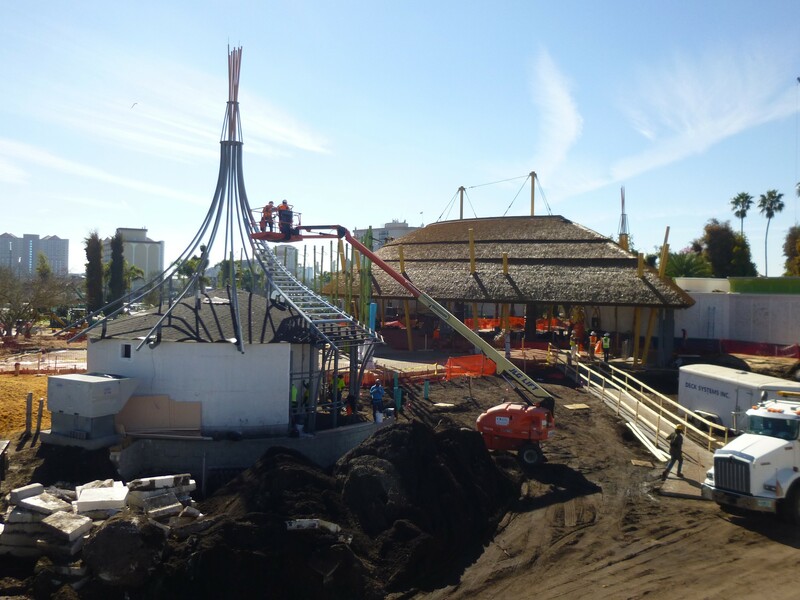 Check out the video as well as photo report below and stay tuned for more regular Volcano Bay updates in the future as we inch ever closer to the grand opening date!